Jesse Roper has the itch. Coming off a June performance at Port Renfrew’s Tall Tree music festival The Roper Show front man considers one of his best sets yet, he is anxious to hit the stage again. And the stakes have never been higher to repeat that performance. At his upcoming show July 12 at Rock the Shores, the Metchosinite will share the billing with some of the biggest names of his career and play in front of thousands of people. A musician since age six, Roper, 32, says he was once too shy to play in front of others. Now he gets much of his life’s enjoyment out of playing for people and even gets irritable when he doesn’t have shows lined up. “I can’t imagine going back to (my previous) life. I painted for eight years and wasn’t sure where I was going to go. My life wasn’t giving me much; I was busy, but wasn’t happy. Roper describes his music as “blues-rooted, everything under the sun.” He was over the moon at the news he would be one of the local acts on the card for Rock the Shores, Vancouver Island’s biggest music festival of the year. “I was stoked when I got the email. Who is going to say no to this?” he asked. Radio host Dylan Willows of 91.3 The Zone remembers vividly seeing Roper perform for the first time. Willows was hosting a launch party for the Tall Tree Festival and had heard rumblings of “an epic guitar player from Metchosin,” for months. Rock the Shores, which takes over the lower fields at West Shore Parks and Recreation July 11 to 13, offers artists like Roper a great chance to get their music out there. “It is important to have an opportunity for local bands to have that benchmark to reach in their hometown,Willows says. Roper, whose new album, Red Bird, hits the street Aug. 23, sounds ready. 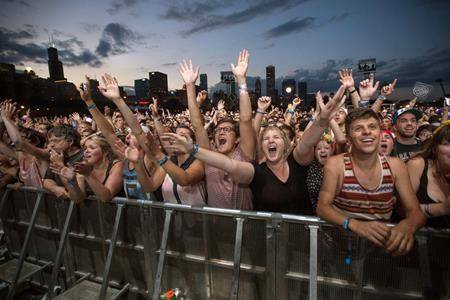 The third annual Rock the Shores music festival goes July 11 to 13 at West Shore Parks and Recreation, with nightly headliners Tom Cochrane and Red Rider, Billy Talent and Our Lady Peace. • General admission for one day is $59.50 plus service charge, or $109.50 for a VIP ticket, which includes priority entrance, access to a raised viewing deck, VIP food and beverage area and private washroom facilities. • Three-day tickets are $129.50 and $279.50. Tickets are available at rocktheshores.com along with further information.